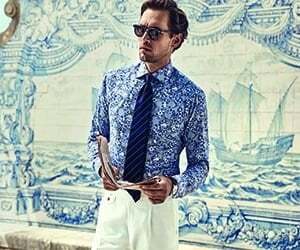 The perfect shirt for the sophisticated man who likes to stand out. Printed on a crisp poplin base with an abstract wildlife design. Wear it with a trim suit for a cool business look, or wear it unbuttoned with a nice pair of jeans for the night out.